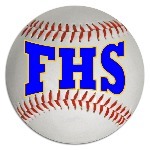 Tuesday was a day Max Fortier will remember forever as Fortier threw a no-hitter in Falmouth's 16-0 victory over Fryeburg. No Fryeburg batter was able to locate Fortier's pitches during the game. Fortier threw a no-hitter, striking out six batters and walking none while recording his momentous feat. He got Keegan Jones to strike out for the final out of the game. Thirteen runs in the first three innings helped the Yachtsmen blow out Fryeburg. A solo home run by Connor Aube, an RBI double byReece Armitage, a hit by pitch, a two-run double by Hogan Tracy, a groundout by Garret Aube, and a three-run double by Robbie Armitage in the first inning and a walk by Tracy and a sacrifice fly by Aube during the second inning supplied the early offense for the Yachtsmen. Falmouth got its bats going early, scoring nine runs in the first inning to pull ahead of Fryeburg. Hunter Day took the loss for Fryeburg. He allowed 16 runs in five innings, walked seven and struck out two. The Yachtsmen piled on two more runs in the top of the third. A clutch error scored Armitage to open the scoring in the frame. That was followed up by Tracy's single, scoring Chris Camelio. Falmouth increased its lead with three runs in the fifth. Camelio kicked things off with a single, bringing home Colin Coyne. That was followed up by Tracy's double, bringing home Camelio and Jessie Melchiskey. "Powered by Narrative Science and GameChanger Media. Copyright 2016. All rights reserved." Any reuse or republication of this story must include the preceding attribution.